biodiversity of the rear garden while maximising the use of the flat. Numerous discussions with co-freeholders were also held to make sure the design is compatible with other flats above. 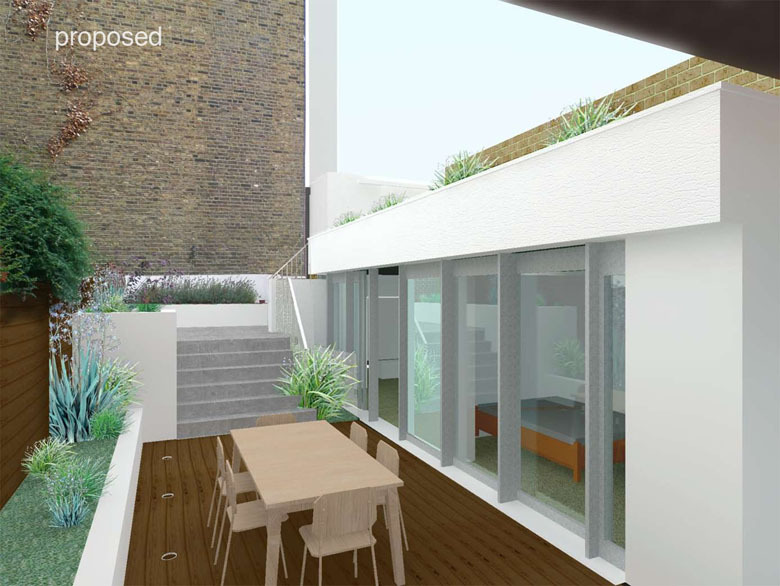 Planning permission secured in 2011 - detailed design started in 2012.